A new take on the grooming must-have, this sleek stainless steel nail clipper does its job in a thinner and better-made design than its typical drugstore counterparts. 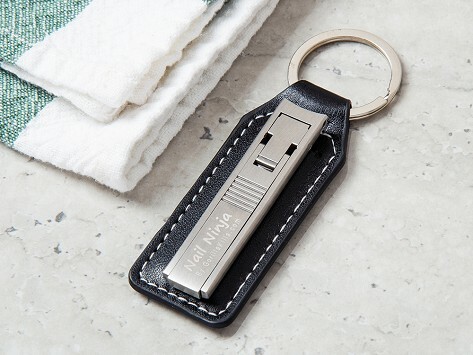 It’s nearly 80% thinner than usual clippers, and it comes with a leather case that can hang from a keychain. TSA-approved and guaranteed for a lifetime. Dimensions: 2.6" x 0.5" x 0.12"